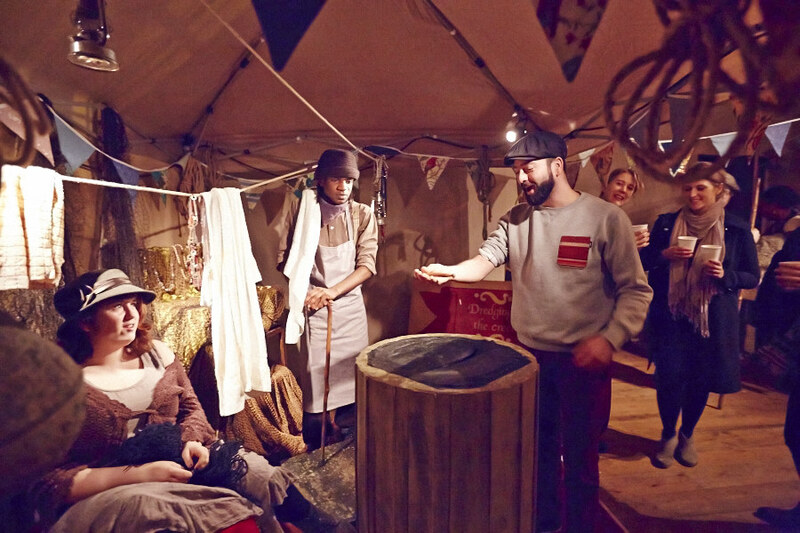 Punchdrunk Enrichment was selected for a landmark commission in 2014. The panel was excited by their idea to transform a local historic house into the setting for an ambitious theatrical production - St Ethelburga’s Hallowtide fair - inspired by the history of the local area. 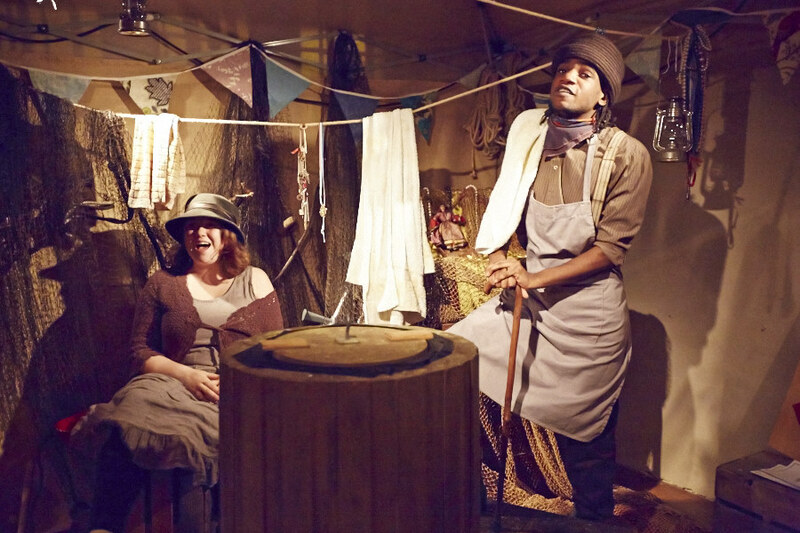 They began their commission by inviting 70 local people to watch their show ‘The Drowned Man’ in Paddington, and by talking to students of Barking and Dagenham College. To develop the show they worked with local community participants, Cultural Connectors and college students from the technical theatre and performing arts courses. They involved over 100 people as participants in the project as contributors, technical and production staff, performers and as part of the creative team developing narratives and visuals for the show. Local award-winning jazz singer Zara McFarlane performed as part of the event and local businesses joined in as stall holders. 1000 people saw the final show, of which over 70% were Barking and Dagenham residents. Staff and volunteers from Eastbury Manor House have been inspired by what they described as a magical experience and are looking at new ways of using the arts to attract visitors to the house in future. Thanks to Barking and Dagenham College, Green Shoes Arts, Eastbury Manor House staff and volunteers, Studio 3 Arts, and Cultural Connectors Robin Dixon, Joseph Obasi and David Osaghae for their support with this commission.